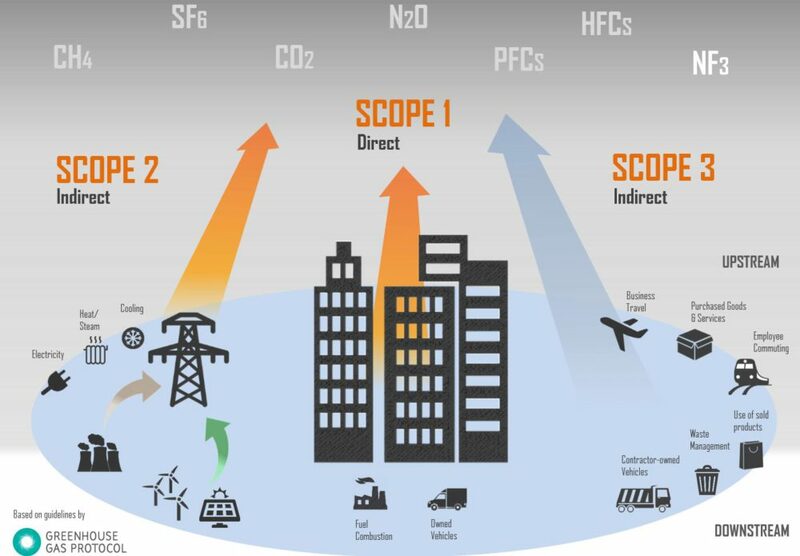 Scope 2 relates to indirect CO2 emissions produced by our suppliers in generating energy that we then purchase for our production. Market-based: This figure reflects a company’s pro-active choice, or lack thereof, when it comes to sourcing energy they consume from a particular origin. Under this method, source specific emission factors are derived through contractual instruments that convey information about the origin of electricity and the associated GHG intensity. These contractual instruments may or may not be bundled with physical electricity, and must meet the GHG Protocol’s ‘quality criteria’ to ensure the overall integrity and reliability of market-based system. Companies that choose not to purchase GOs would calculate their scope 2 emissions based on the ‘residual power mix’ in their country of operation. Location-Based Method: In order to enable comparability in regions where an established market-based system does not exist yet, companies also have to report a location-based figure. This method reflects the average emissions intensity of grids where consumption occurs. The factors are based on statistical emissions information and electricity output aggregated and averaged within a defined geographic boundary and a defined period. In Europe and Asia, this usually relates to a country-level electricity emissions factor while in the United States, regional or sub-national grid factors are provided by eGRID. It should be noted that grid average emission factors are not the same as supplier-specific emission factors (which belong in the market-based category) – even if the supplier may be the sole energy provider in a region. While the Scope 2 guidance requires companies to report two separate figures for scope 2 emissions, they do not necessarily have to report two separate total carbon footprint figures. Companies can choose which scope 2 figure to include in their total footprint as long as they clearly specify which method is used. The Guidance recommends that companies choose the method that is consistent and relevant with their business goals and targets. For companies operating in liberalized markets, the Guidance recommends that such companies should use the market-based method for setting goals. (9.3, page 76, Scope 2 Guidance).